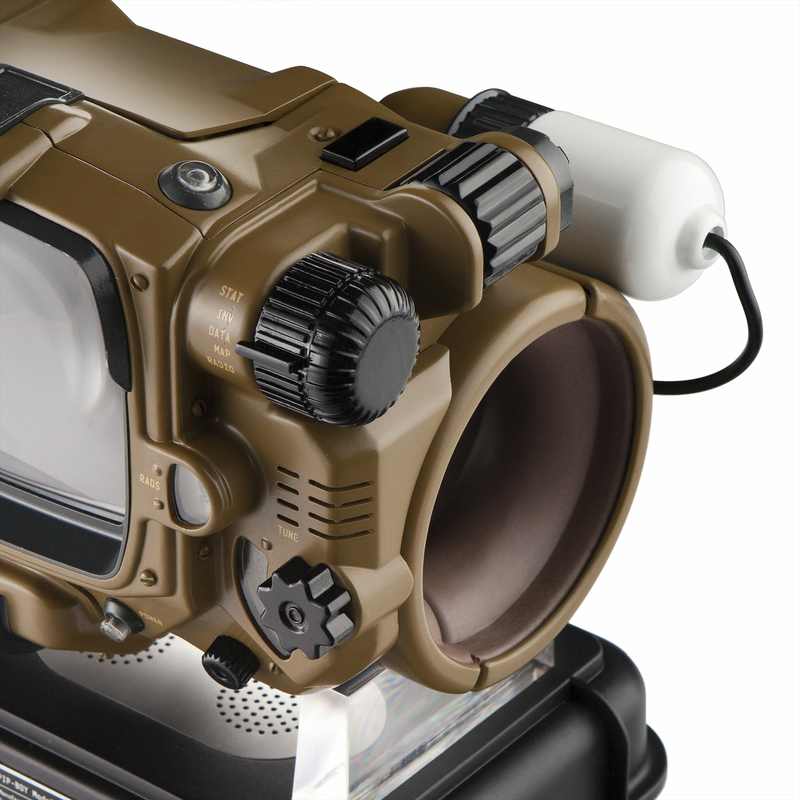 With an integrated screen and its own on-board software and hardware, this Pip-Boy pairs up with your Bluetooth phone or tablet to give you access to your phone's ability to take and place calls, as well as its contacts, SMS messages, and audio files. 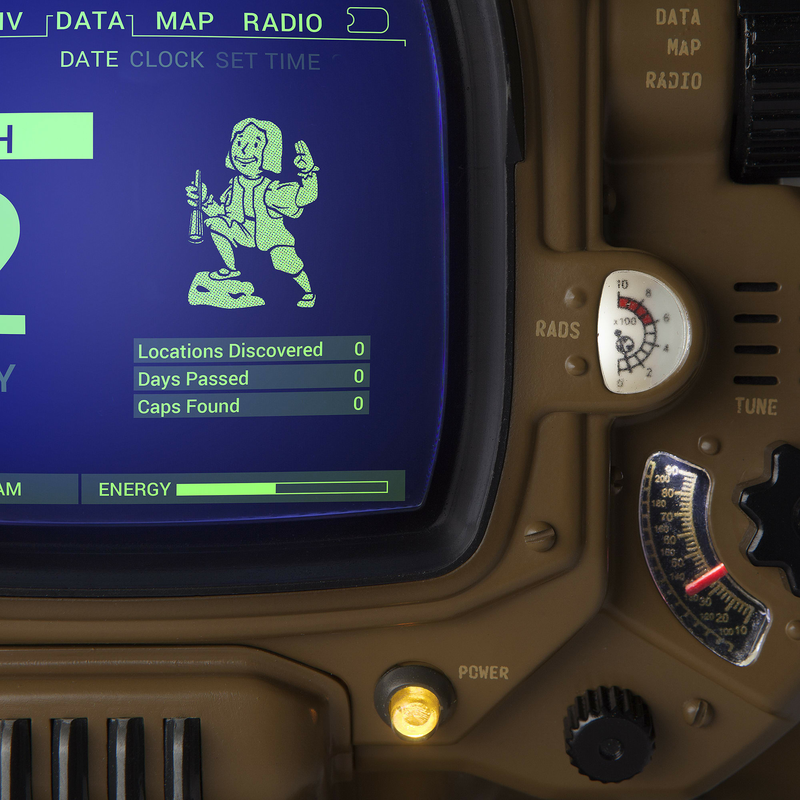 Even when not paired, the Pip-Boy: Deluxe Bluetooth Edition can still be used as an alarm clock or a cosplay prop, displaying the Status, Special, and Perks screens from the game. Oh - and did we mention that most of the knobs, dials, and buttons actually work? 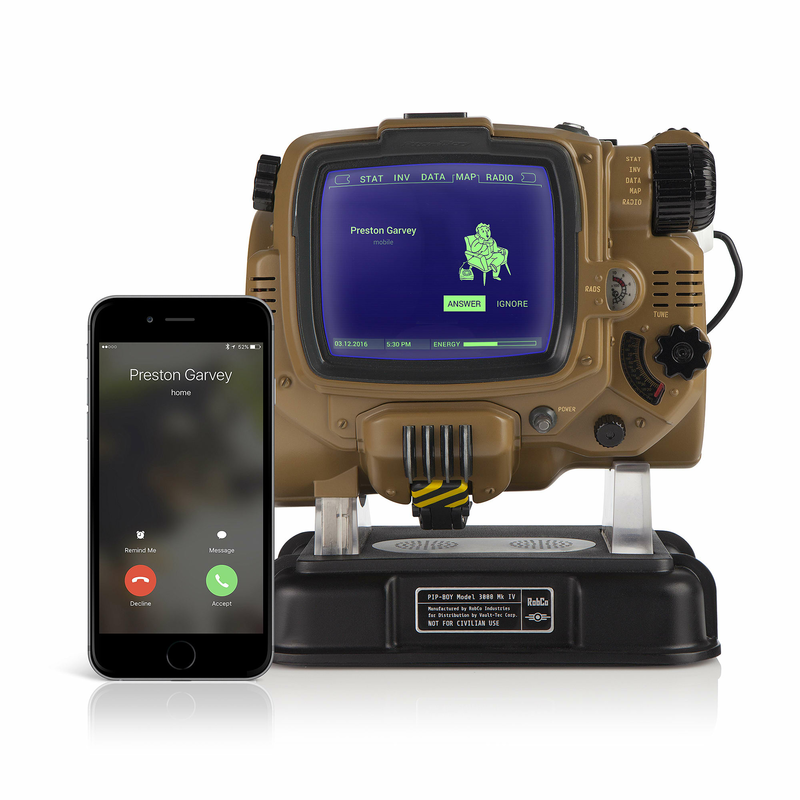 The Pip-Boy: Deluxe Bluetooth Edition comes with a stand that doubles as a charging base and more powerful speaker option when the Pip-Boy is in place. 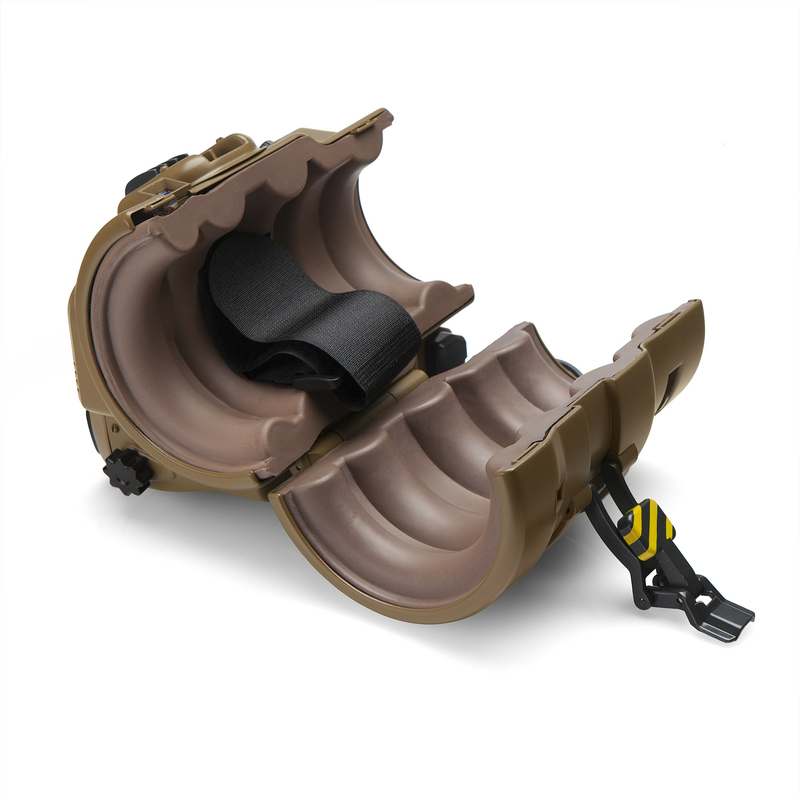 The compartment on top opens to reveal a holotape that's a USB drive. And it all ships in a Capsule-Case-inspired tin designated for Vault 111 deployment. 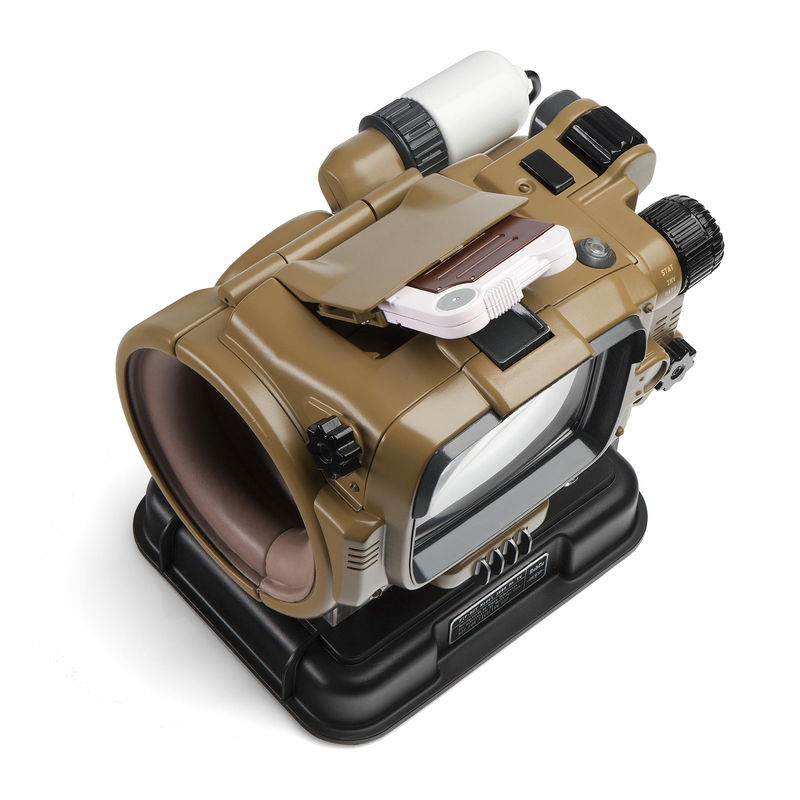 With an integrated screen and its own on-board software and hardware, this Pip-Boy pairs up with your Bluetooth phone or tablet to give you access to your phone's ability to take and place calls, as well as its contacts, SMS messages, and audio files. Even when not paired, the Pip-Boy: Deluxe Bluetooth Edition can still be used as an alarm clock or a cosplay prop, displaying the Status, Special, and Perks screens from the game. Oh - and did we mention that most of the knobs, dials, and buttons actually work? 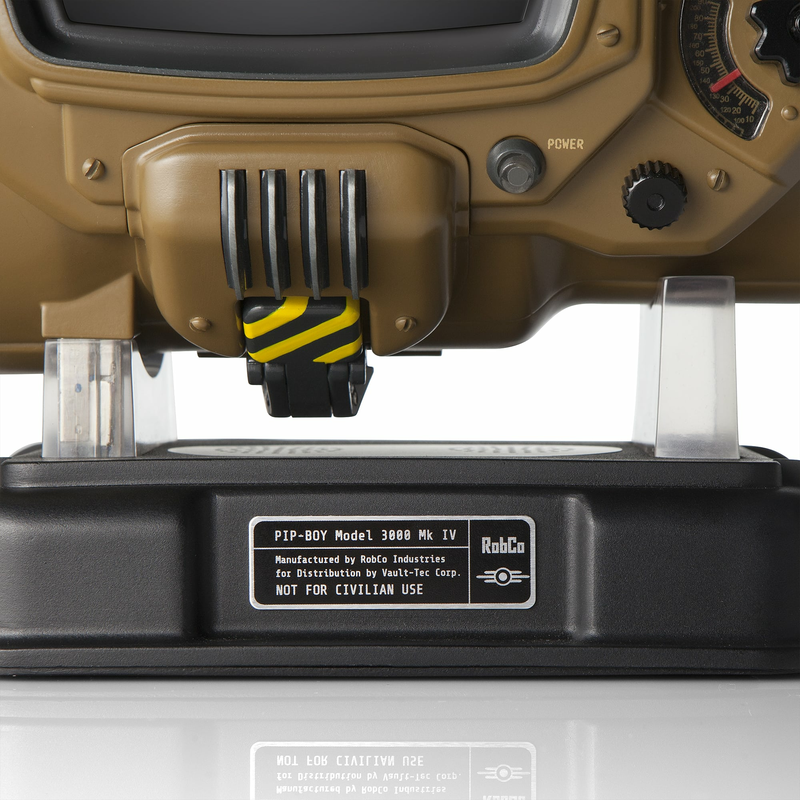 The Pip-Boy: Deluxe Bluetooth Edition is lined with foam for a comfortable custom fit. 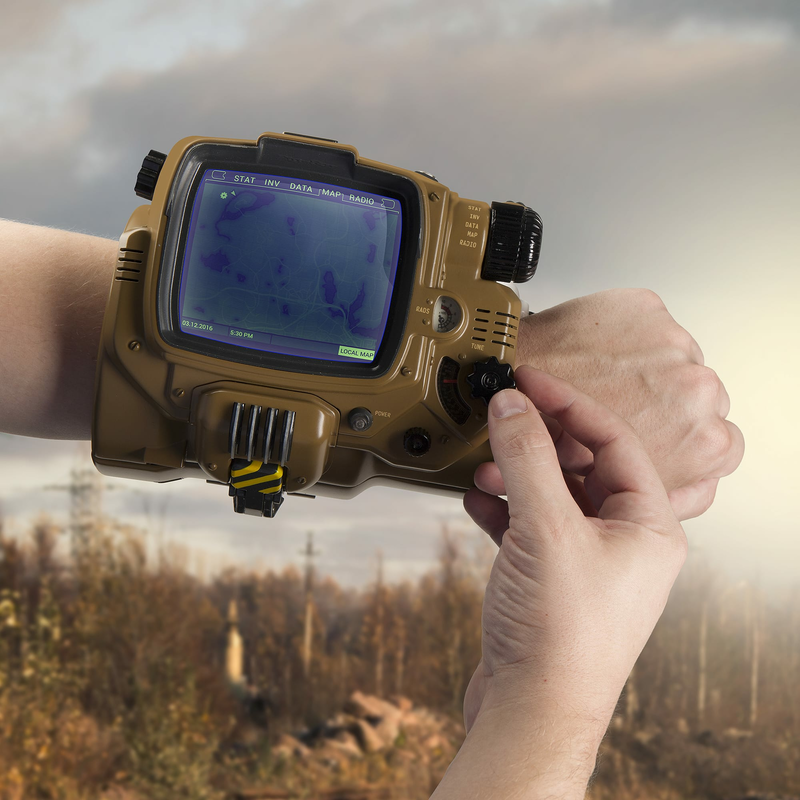 Weighing in at just about 2 pounds, the Pip-Boy ensures you know won't forget it's there and ready to assist you, but it's not uncomfortable. And there aren't any nasty biometric seals on this one, we promise. Exterior Dimensions: 7" long x 5" wide diameter to 7" wide (at widest) Interior Dimensions: 7 1/4" diameter at smallest point (foam padding allows expansion up to 9 1/2" - fits most arms Weight: 2 lbs. Dimensions: 7" wide x 6" deep x 3" tall Weight: 3/4 lb. Does not include the game. Does not interface with the game.